This blue color scheme is applied to the floor, walls, and furniture without looking overwhelming. There is a lot to think about when it comes time to choose a color scheme for your home. There are so many options out there that it can seem almost impossible to choose just one. Should you go bold or neutral? Classic or modern? Will a monochromatic color scheme suit your tastes and needs best. While there are no definites in the wild color game, one thing is for sure. 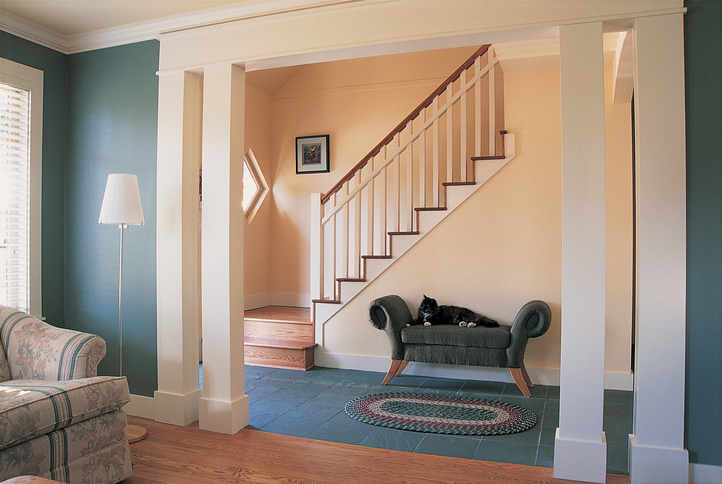 Choosing only one color is far simpler than matching various shades, tones, and finishes. This is why many people opt for a monochromatic color scheme. Below you’ll learn how to make a monochromatic look work for you. Rather than picking a paint color and building a room around it, which can prove difficult, especially if you have chosen an obscure color, choosing flooring that inspires you can make things a lot simpler. Flooring will often have a number of colors in it, which can make knowing what wall colors will work easy. If you opt for a monochromatic color scheme, this becomes even simpler. While you may love big bold colors or very dark colors, these are not always optimal in large doses. Especially in a bedroom, bright loud colors can excite rather than relax. Dark colors can also make a room appear smaller and more cramped, which is not very relaxing. When opting for a monochromatic color scheme, make sure you choose a color that is both appealing to you and suits the room and what it will be used for. Softer shades work well in large spaces, while brighter bolder shades are ideal for eye-popping accents. Mirrors work especially well with cool-toned colors like purple. The blue tones in these shades give them a dreamy glow which lends itself well to being reflected in mirrors. Especially in a monochromatic space, mirrors add depth and visual interest. They are a way to break up and complement any monochromatic color scheme.